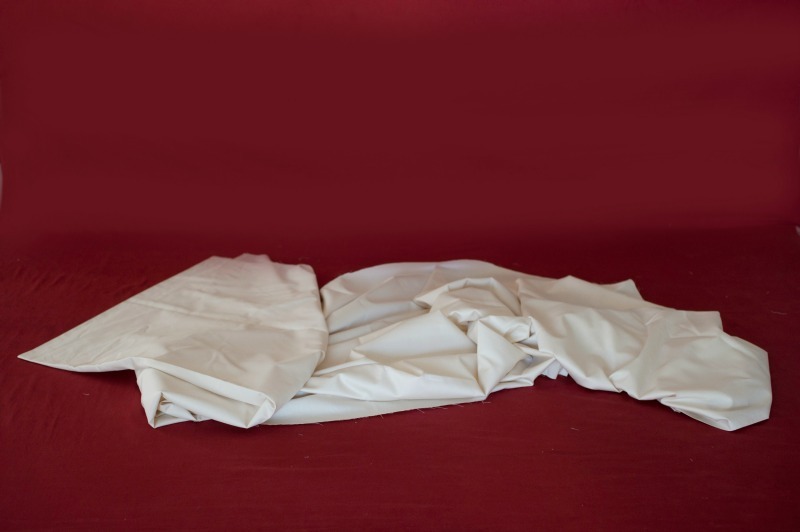 Our Organic Cotton Sateen is only available to order over the phone. Please call (800) 966-5540 to inquire. Thank you! Our silky smooth organic cotton sateen is a luxurious, 230 thread count fabric. 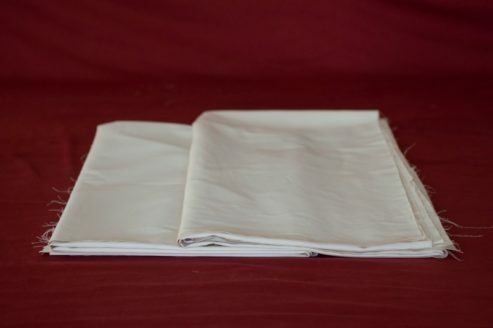 Organic cotton sateen can be used to make your own bedding, clothing, sheeting, curtains or anything else you can think of. 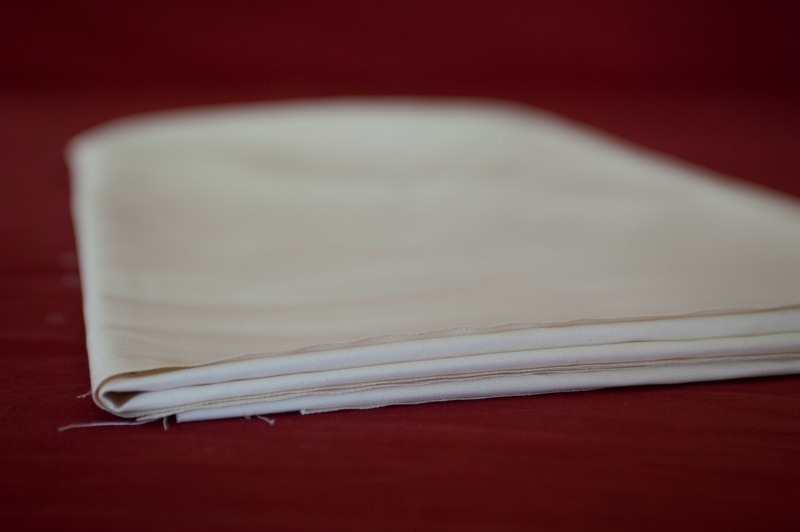 We offer two different types of organic sateen; a thinner fabric which is ideal for comforters, clothing, pillow cases, etc. and a thicker sateen which is ideal in cases where greater durability is needed. By choosing organic you are helping to reduce the amount of pesticides and herbicides used in growing cotton and supporting a trend towards sustainable farming practices. Our imported, GOTS Certified organic cotton sateen has a 230 thread count and is naturally off white. With a width of 112″, this Organic Cotton Sateen fabric can go a long way and is excellent for making quilts or your own sheeting. This fabric is grown and manufactured in India. Our domestic, GOTS Certified organic cotton sateen is a thicker sateen textile with a thread count of 322 and is naturally off white also. With a width of 112″, this fabric is great for those projects that need more durability. Conventionally grown cotton is one of the most heavily treated crops in the world. If all cotton currently produced in the world was grown organically, we would see a 25% reduction in global insecticide use. Conventional agricultural methods can cause water contamination. Many EPA-approved pesticides were registered long before extensive research linked these chemicals to cancer and other diseases. Organic is better for you and the planet. Sateen is a slightly shiny and very soft fabric that is often described as buttery because of it’s smooth feel. Sateen holds bold colors well while maintaining its softness and is known to resist wrinkling, so it’s easy to care for. Sateen is a weave in which many threads are aligned tightly together in the vertical direction, creating a flat, smooth, shiny and very soft surface on one side of the fabric and a slightly matte one on the other. Please call us for pricing on single pieces larger than 5 yards. Very soft and smooth fabric. Easy to work with. Beautiful natural color. Excellent quality, beautiful fabric (good weight, strong but not overly heavy and still soft). Made a snuggly wool comforter with this and the eco wool for my son–he loves it.